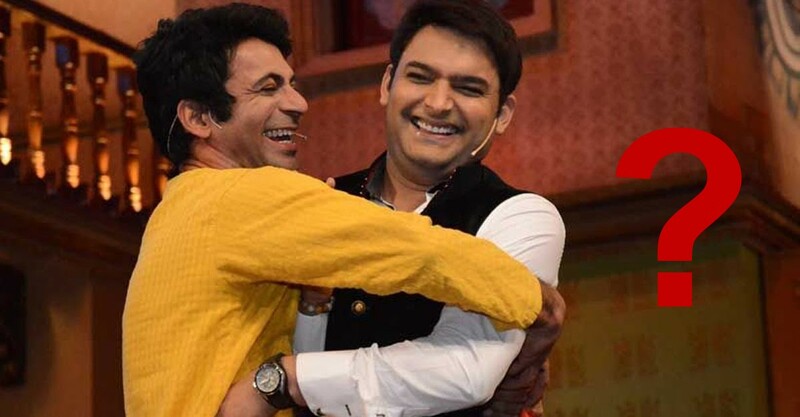 Sunil Grover to Return on "The Kapil Sharma Show" BUT with Conditions! The fight is still not over. The fire is still not under control. Kapil Sharma and Sunil Grover's fallout is the worst of all as it has caused a lot loss to both, the show and the audience. Even the fans are feeling disturbed and disappointed. Despite inviting Raju Srivastava, Ahsaan Qureshi and Sunil Pal on the show, the TRPs are getting lower day by day. But now, seems like they both are up to a deal or so to say an agreement. Recent reports state that, the channel too is suffering because of this fight. They too have invested a lot and had given a month's time to Kapil to get back the show in action. It’s a prime slot and the show has been popular, though lately it has suffered due to the Sunil-Kapil fallout. Sunil too is abide by the contract and he cannot leave it like this. This might bring Dr Mashoor Gulati back on the show. While we await Sunil on 'The Kapil Sharma Show', Sunil asked the channel that they can utilize him for their other shows but he will not unite with Kapil again. This is why, we got to see Dr Mashoor Gulati and Rinku bhabhi on the finale of Indian Idol 9. However, the efforts to bring him back on the show are working. Sunil has told that if he comes back, his interaction with Kapil will be minimum or not at all and Kapil will not be in the frame when Sunil will be on stage. Also, the channel is cautious now. They are picking selective audiences now and has restricted to bring in cell phones and cameras to click pictures. Well, this seems a never-ending process, but we hope Sunil to come back for the sake of his fans.